Perum Percetakan Negara Republik Indonesia - Perum PNRI is the state-owned company in Indonesia conducting business in the field of printing services. Its business include General Printing, Security Printing, Multimedia, Graphics Services, and Smart card. According to information found in the Company's website, the history of Perum PNRI goes back to 1809 when Lands Drukkerij was formed during Indonesia's colonial era. In 1942, the Company changed its name Gunseikanbu Inatsu Kojo (GIK), and to Percetakan Republik Indonesia (PRI). The name of Percetakan Negara Republik Indonesia established in 1950. In 1991, the Company officially established under the name of Perum Percetakan Negara Republik Indonesia. The Company is based in Jakarta and its head office is registered at Jl Percetakan Negara No 21 Jakarta 10560. 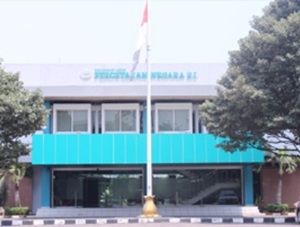 At present, Perum PNRI has 11 branch offices spread in all over Indonesia, located at Banda Aceh, Bengkulu, Surakarta, Surabaya, Manado, Ambon, Biak, Manokwari, Merauke, Kupang, and Palu. Regional Sumatra, Java - Kalimantan, East Java - East Indonesia. Male/Female, maximum age of 33 years old. Minimum S1 in all major, preferably majoring in Graphic. Familiar with printing products (General and Security Printing, Card, Packaging). Have a wide relations in the field of printing. Communicative, energetic, and able to work in a team. Understand and able to manage, analyze and evaluate the work. Hard worker, disciplined, interesting, friendly and creative. Passed a written test / Assessment. JobsCDC.com now available on android device. Download now on Google Play here. Please be aware of recruitment fraud. The entire stage of this selection process is free of charge. Perum Percetakan Negara Republik Indonesia - Regional Sales Manager PNRI December 2017 will never ask for fees or upfront payments for any purposes during the recruitment process such as transportation and accommodation.